Please click above image to view full-size flier. 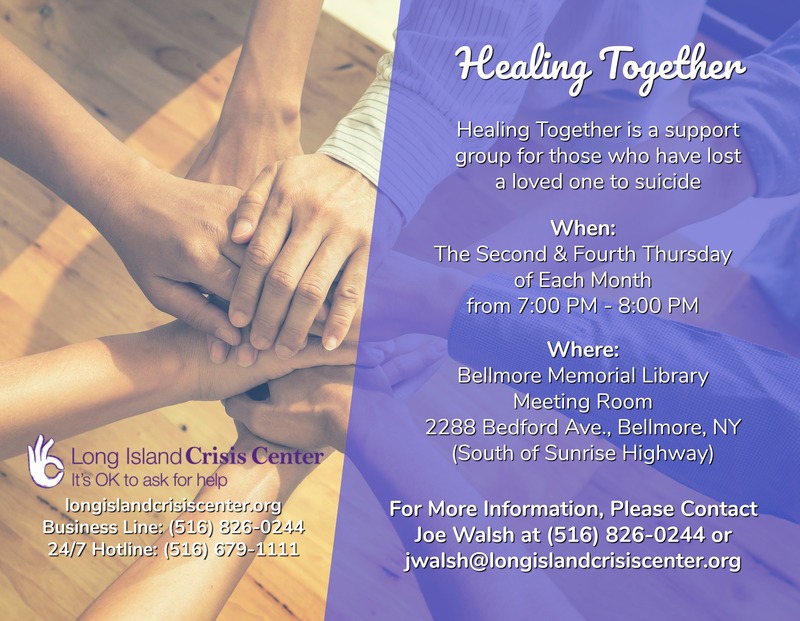 Healing Together is LICC’s peer support group for those who have lost a loved one to suicide. This twice-monthly group is facilitated by Virginia Cervasio, who lost her son Angelo to suicide in 2006.